This highchair is very easy to set up. It comes in the box with only 3 pieces. The chair, tray and the foot piece. All you have to do is attach the foot piece, put the tray on and voila! The beautiful leatherette seat is easy to clean as well as soft&comfy. It has a 5pt harness and the seat reclines to 5 different positions. This is great for babies that don't sit upright yet to bottle feed. The height can go low to the ground to sit next to the couch, table height or standing in the kitchen. It has soft wheels that make it move easily and the bottom folds up for storing. The tray has a single handed lever underneath and when it goes too far out you'll see red dots to let you know. There's also a plastic removable tray for easy cleaning. Below is the foot rest which has 2 positions that's easy to change. 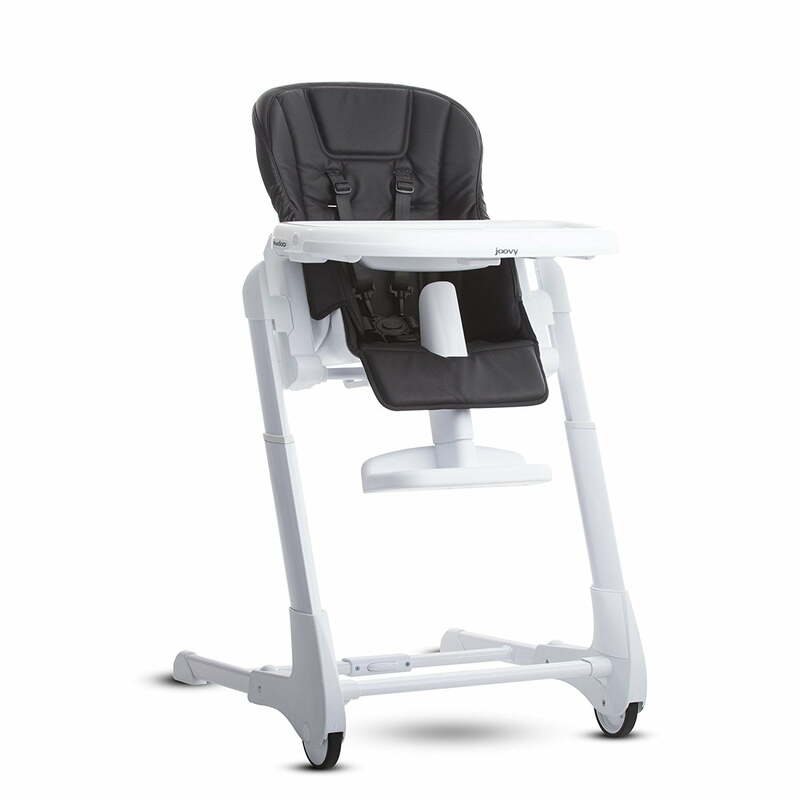 All of these features make this a great stylish highchair! I highly recommend it. Tbook.com crawls the web to find the best prices and availability on High Chairs and related Baby Items products like Joovy Foodoo Baby Height Adjustable High Chair, Black. For this page, related items include products we find that match the following keywords: "High Chair" at our vendor partner Walmart. Joovy Foodoo Baby Height Adjustable High Chair, Black is one of 136 High Chairs and related products listed in the Baby Items section of Tbook.com If you have any questions on this product, please give us a call at 734-971-1210 during the hours of 9am - 5pm EST for assistance. Thank you for shopping at Tbook.com, the Internet Department Store!